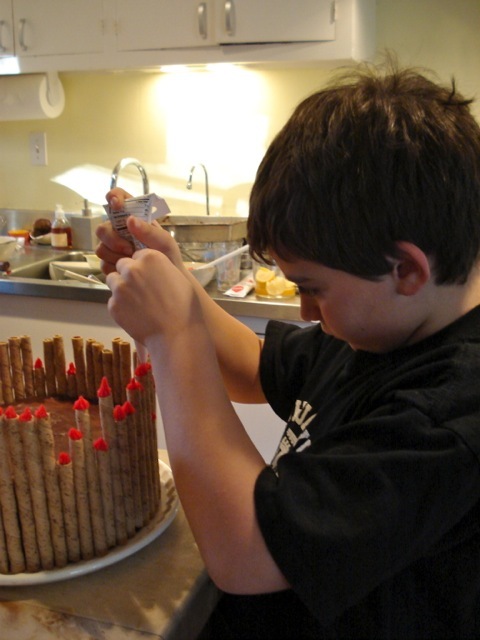 I consider baking to be one of the best lessons to teach children because it includes science, art, match, logic, and patience. 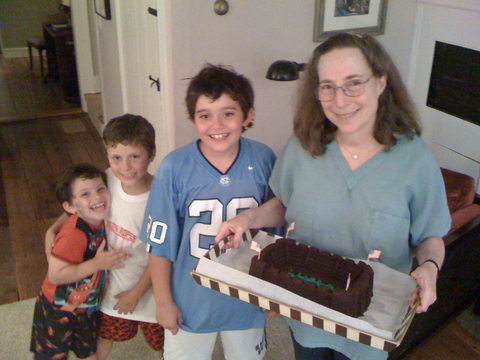 I have been visiting the Wachter boys once a year for the past 12 years teaching them how to bake. 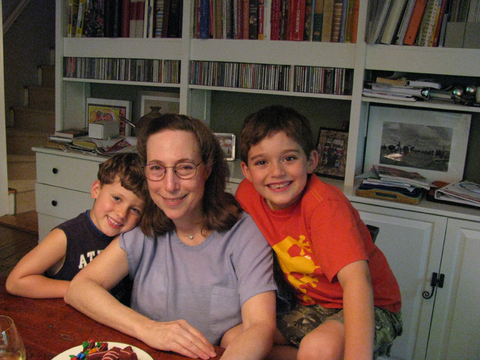 And this year, by special invitation of Max, Elliott joined me. 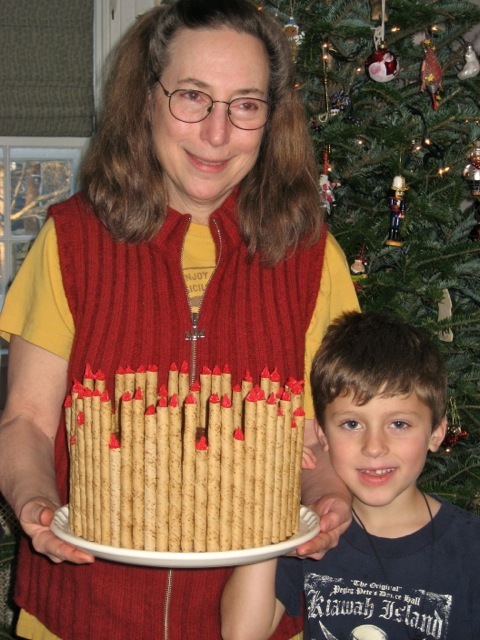 It all began when the eldest, August, was only 3 years old and my dear friend and colleague, Elizabeth Karmel, bought him my cookie book and invited me to give him a cookie lesson. As the years went by two more brothers arrived and started to participate. For this most recent class in August, to my delight, their mother Mary Pat chose the Monkey Dunkey Bread from the new book The Baking BIble. 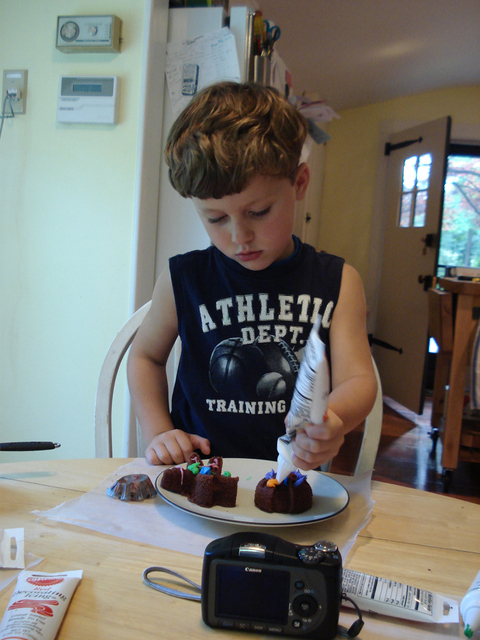 Not only is it absolutely delicious, I knew that the boys would have great fun adding the chocolate pearls to the dough and rolling them into balls. This is the first time that August, my right hand man is towering above me! 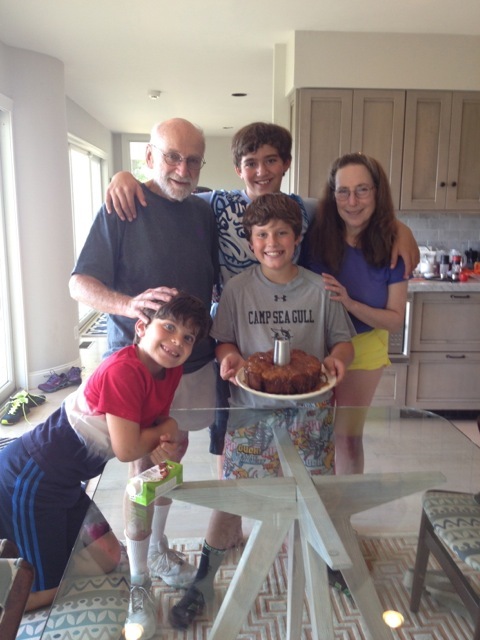 This year Max, the youngest, was old enough to become a full participant. 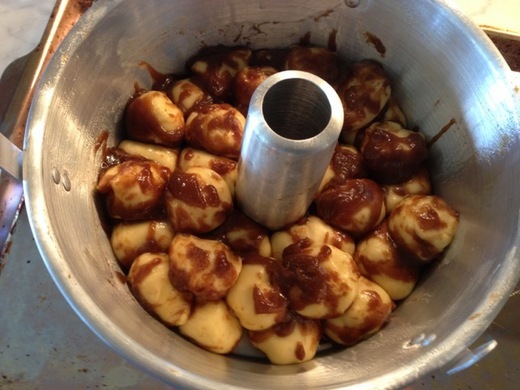 The chocolate filled dough balls, coated with the caramel drizzle glaze. 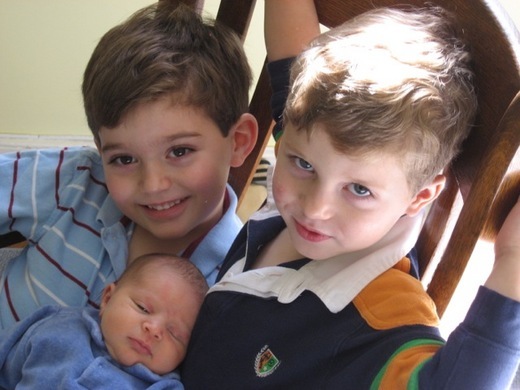 2006 August and Zander welcome Max into the family. 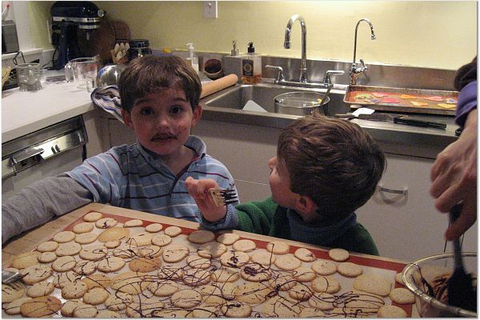 2007 August and Zander decorate cookies and their faces with chocolate. 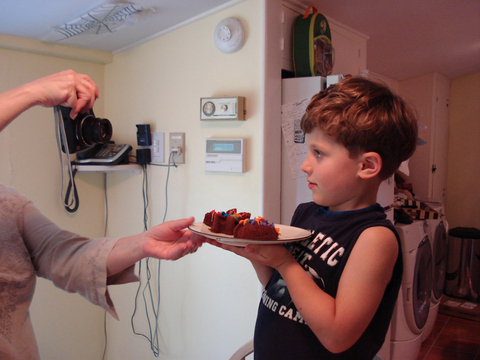 2008 The boys adored the chocolate bug cakes. 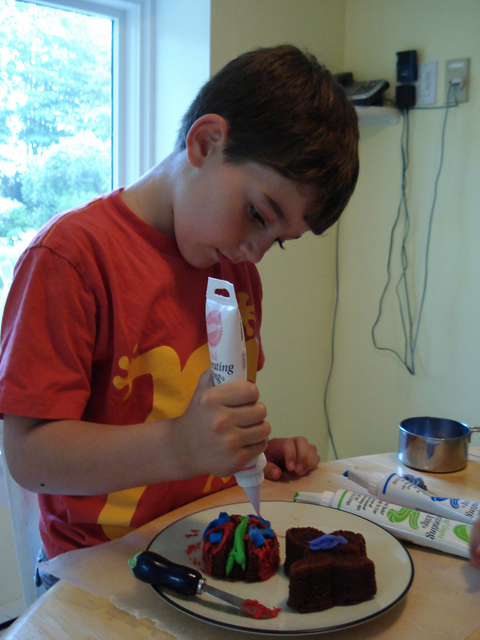 August enjoys decorating them. 2008 Zander the athlete also is very artistic. 2008 Zander is justifiably proud of his results. 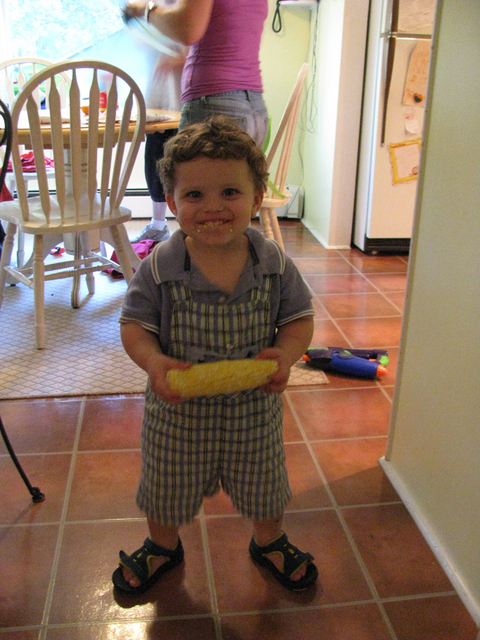 2008 Young Max enjoyed corn more than decorating cakes. End of another successful baking experience. 2009 August has become an experienced piper. He always stepped in to help when the younger boys got distracted with other activities. 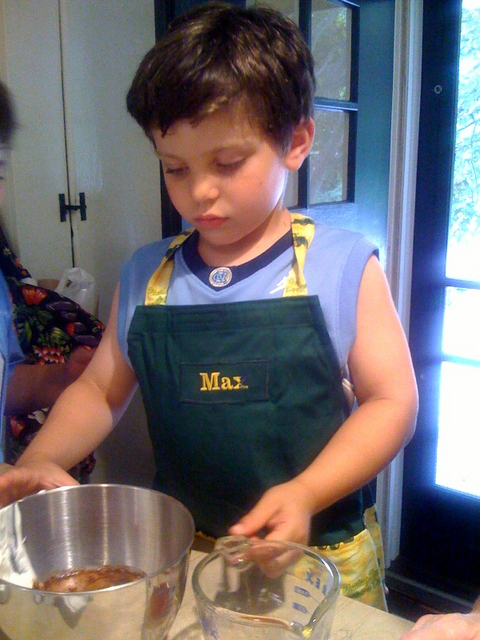 2011 Max ready to mix the batter for the Stadium cake. All three boys were unanimous in their choice of this year's lesson! 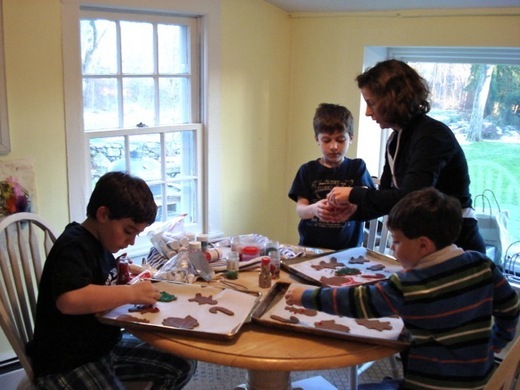 2011 Mary Pat giving guidance on decorating cookies. 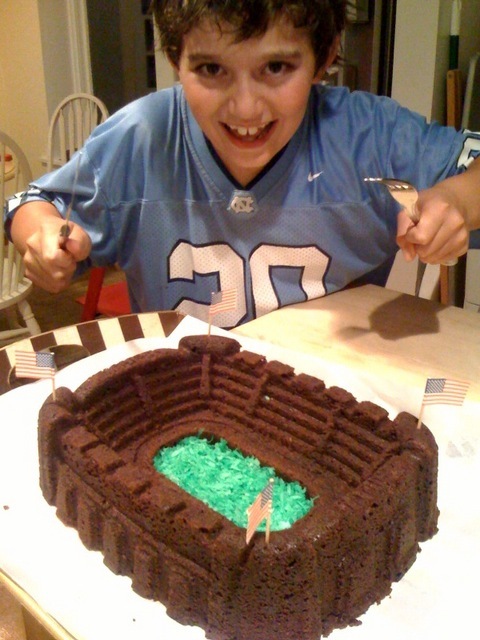 2011 August ready to dive into the Stadium Cake. The Wachter boys and I.